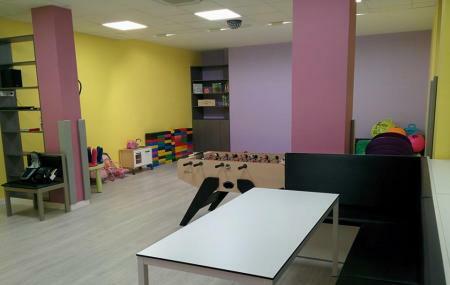 One of the most happening places in Burgos, the Casa Magica is a popular venue for the city’s events likes birthday parties, formal functions, social gatherings and more. It is a very well-equipped space that guarantees delightful celebrations. Love this? Explore the entire list of places to visit in Aranda De Duero before you plan your trip. Fancy a good night's sleep after a tiring day? Check out where to stay in Aranda De Duero and book an accommodation of your choice. Ideal para cumpleaños de pequeños con muchos juegos e hinchable. Buena monitora. Todo genial. También se puede alquilar por horas para cualquier celebración. By Fernan G. H. F.